Every person has their own journey to go with. And this is mine. I wasn’t born in a castle, but my name is Prince Sam. I am just typical teenager, just like other teenagers out there, but a little bit more responsible than them, I think. I am the only son, maybe the reason why my name is Prince, but nevertheless I’m thankful to the name they gave to me. Like other typical teenagers I do have a lot of hobbies, just like writing poetries, articles, stories, and the likes. But like other guys, I also do play online games like League of Legends with my college friends, and yes, I’m still a college student. These friends I have introduced me to this online mobile game, which is Lords Mobile. At first, I refused to play it because it will consume a big amount of storage in my phone but because of my curiosity I still installed it in my phone, and I got addicted on it. But I am thankful to God for he let me able to balance my time to study and my time to play. Its’ been more than 3 months since I played it. It has been 3 months since I met new friends and enemies in Lords Mobile world. Three months of playing it was awesome, but at the same time stressful. 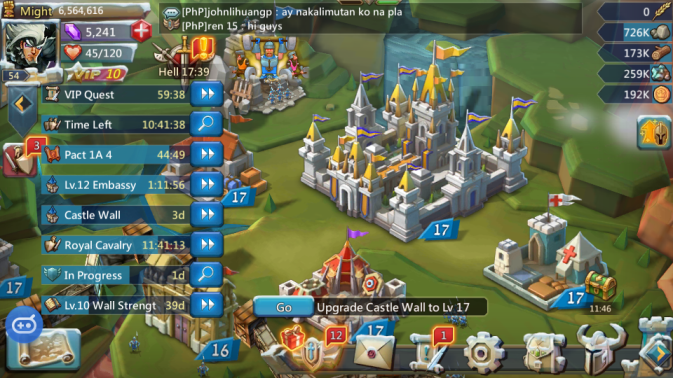 Awesome because the graphics of the game is almost perfect, and also “the castle” is what I really love because it was always been my dream to have my own castle, a very big castle, and to be honest my display picture in my WeGamers account is me and my background is a big castle that the word beautiful is not enough to describe it. But as they say, a good description isn’t good when there will be no negative description. So yes, Lords Mobile is a very stressful game because you can’t control everything on it. 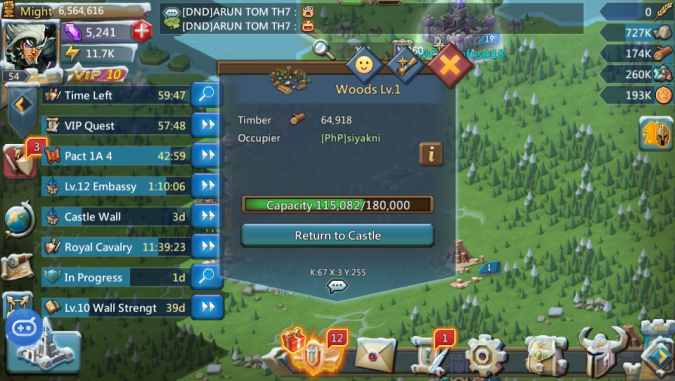 There are some players who will burn your turf or castle and steal the resources you gathered after gathering it for more than one hour and a player who is stronger than you who will kill the armies you trained! But that’s how the game is, it was built to build guilds who will help each other to get stronger and it was built to make you realized that even if you are strong right now, there will be this someone who will be stronger than you and can destroy your turf, steal your resources, and kill the armies you trained.I cannot forget also is when after hitting the monster with you full energy and there is zero point something left in the life of that monster and the worst scenario will be that there is someone from another guild will kill it, and you’ll be like “What the ****?”. Lords Mobile for me will forever be a legendary in online mobile games world, it will always be one of the most interesting games I ever played. Why? It thought me a lot of lessons, not only in game but also in life. 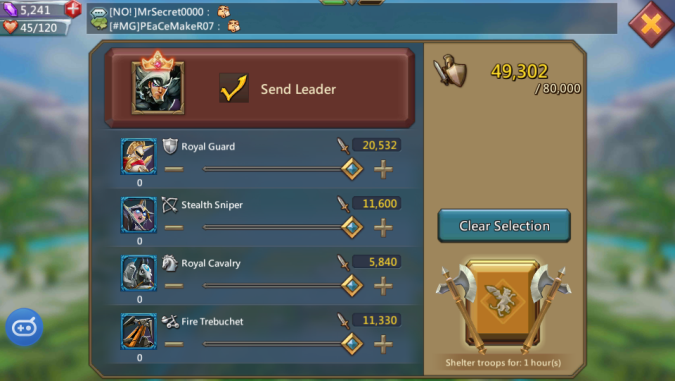 Like if you’re not in game, you must shelter your armies if you don’t have a shield so that if someone will attack your turf, your leader won’t be captured and your armies won’t be killed or wounded, like in life, you must shelter the things which or someone who is important to you or else that thing or person will leave you. Another reason why it’s one of the most interesting games I played is because this game is for everyone, which means there are a lot of nationalities in the game and I find it thrilling and interesting, I mean, isn’t it interesting to encounter someone in different kingdoms who speak in different languages, and there’s this translator in the game that will help you understand what the other player said and you will be like “Oh! So that what it means!”? If I will give you a reason why you should play this game, it is because in this game is not like the other games you played. They will give you free gems after maintenance, they create events that have prizes (just like this), it won’t only be you playing the game but there are also some players that you will meet and became your friends or enemies, or even be you lover and be your forever, and for me, the best thing would be they’ll teach you how to hack the Wi-Fi of your neighborhood especially if you don’t have mobile data to get online in the game or even in their “WeGamer” application, just kidding though about hacking.